Pencil sketch scanned and completed/colored in Illustrator. Just a quick concept piece to feel out a road racing look for a project car. 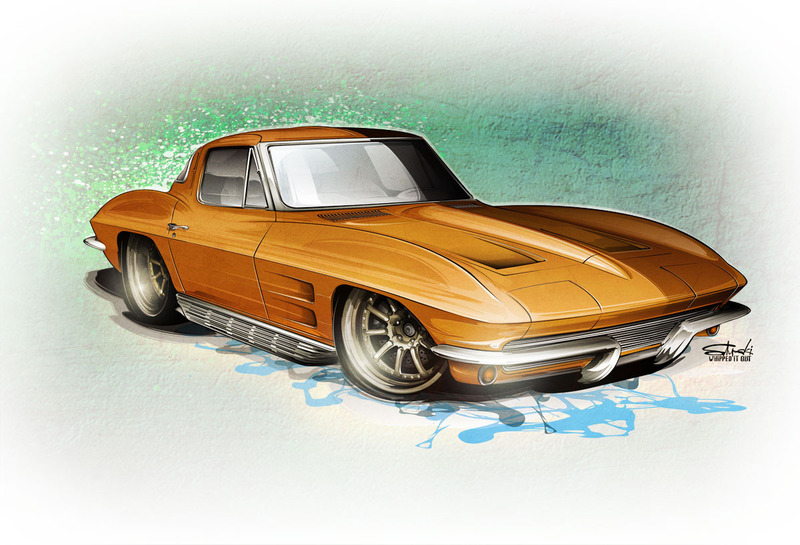 Down-and-dirty '63 Corvette split window hot rod design.